People like you are actually making my blood boil over this. 1,2,3 - Once the firmware has been validated and released I am sure more information will be forthcoming. It would make no sense to release all of their findings to date on this issue only to find another issue during validation which may alter the information released, which is only going to annoy people further. "All in all, Samsung should have done a better job with this drive.". This drive has been consistently recommended from all reputable websites since it was released, well over a year ago. It has not had a widespread bug which has caused complete failure or data loss. This bug here causes an inconvenience, an inconvenience which has taken people 8-9 months to identify, so it was hardly easy for anybody to spot. You misunderstood. I meant the information should be revealed at the time the firmware fix is released, not now. A silent firmware release without clearly specifying what was wrong and how the drive is affected will damage their credibility more. Customers have the right to know how the drive will behave in the future. "And yes, other manufacturers had problems too, that doesn't make it ok for Samsung." 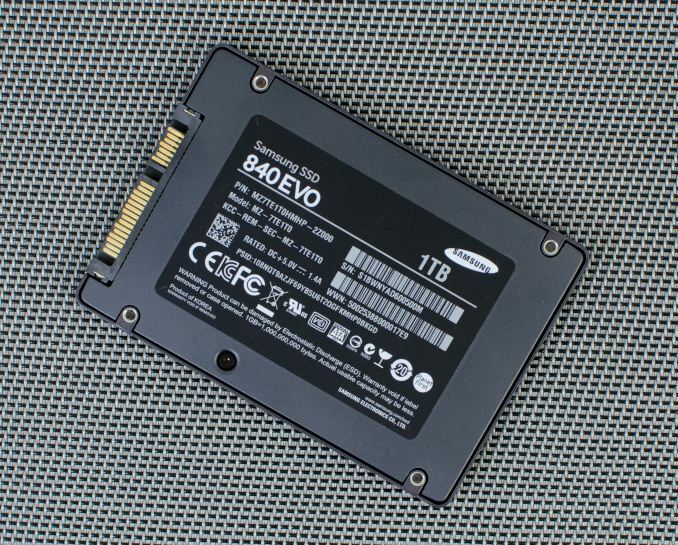 This test suggests TLC does not have the endurance of MLC, but it also shows that all the SSDs tested, including the EVO drive, have performed very well over the long haul. No drive failed before 750 TB in writes. The story continues, with two drives still fully-functional after writing 1.5 PB. Yeah, but it still shows the weaker points of TLC. While lots of MLC would go happily over ~700TB, they appear to have a hardcoded limit, so they locked up and stopped writing data.